Only one day after Thursday’s Premier League action, this year’s UK Open gets underway at Butlins’ Minehead Resort in Somerset. The big news is that the defending champion Gary Anderson will be taking part. The Flying Scotsman hasn’t competed since losing his World Championship semi-final in December and has since pulled out of both the Masters and the Premier League to undergo treatment for a long-standing back problem. However, he has now been confirmed among the entries for the Open which starts this Friday. As well as Anderson, the likes of Michael van Gerwen, Rob Cross, Peter Wright and Michael Smith will all be confident of glory. This event is popular with fans due to the randomness of matches. Likened to football’s FA Cup, the Open allows for no seeding advantage and includes the participation of 32 amateur qualifiers among the 159-player field, which is also made up 128 PDC Tour Card Holders. 16 qualifiers are drawn from the 2018 PDC Unicorn Challenge Tour Order of Merit and 16 others are part of the Riley’s Amateur Qualifiers, which once featured the likes of Rob Cross, 12/1 at Betway to win outright this year. From there, as in the FA Cup, a random draw is made at the conclusion of every round meaning unheralded players can, and often do, go on a deep tournament run. Last year, play took place behind closed doors after the UK was caught in a freak snowstorm dubbed Storm Emma. No such problems look likely this year as the UK has instead posted record-breaking February weather meaning the venue should be packed. The draws for the first three rounds, which will be played over eight separate stages, have already been made. And it’s in the fourth round that the world’s top 32 take to the stage on Friday evening where things get interesting. As you would expect, the cream always rises to the top in darts and the past five winners are Michael van Gerwen (twice), Gary Anderson, Adrian Lewis and Peter Wright, who has finished runner-up in this competition twice. All of the above are in the line up again as is Michael Smith, who has recovered in time from the emergency abscess surgery he underwent on Monday and carries Betway’s price of 12/1 on his head for tournament success. One to look out for is the pantomime villain that is Wales’ Gerwyn Price, who has been playing well of late in the ongoing Premier League Darts and has won back to back PDC Players Championship titles this past weekend. He is available at a very tempting 25/1 with Betway Sports. The 25/1 offered on PDC newbie Glen Durrant is definitely another one to consider too. The reigning BDO World Champion is new to the PDC organisation and has already won his first competition. Naturally, it’s hard to oppose Michael van Gerwen but his odds-on 5/6 makes things less interesting for those looking to turn a profit. Second favourite Gary Anderson should feel suitably refreshed and has won here before meaning Betway’s 8/1 catches the eye. Another former winner, Peter Wright can be backed at 16/1, just short of the 20/1 Betway have placed on Mensur Suljovic and Gerwyn Price’s 22/1. Michael van Gerwen kept his 100% Darts Premier League record going by demolishing Rob Cross 7-2 at Dublin’s 3Arena last Thursday. Mighty Mike found himself ahead 6-0 at one point leading many to believe that another whitewash was in the making. The world champion has achieved three of the previous nine shutouts in the tournament’s history but was ultimately unable to bank another here as he dropped two match darts at double four. Voltage responded by taking out 70 to avoid total humiliation before MVG spurned another three darts at doubles in the next leg for Cross to nab a second. Instead of going on a run, the former world champion missed a double 16 in the following leg leaving van Gerwen to successfully throw for the match. Van Gerwen averaged 101.93 compared to Cross’ tame 93.31, with the pair hitting two 180s each. In the night’s opener, Gerwyn Price came from 5-2 down to earn another draw, this time against James Wade. The Welshman remains unbeaten in this season’s Premier League and won the opening leg but soon fell behind after Wade won three legs on the bounce from 2-2. The Machine then missed tops for a guaranteed point which breathed life into The Iceman who went on his own match levelling run. Price it was who took the lead to ensure he would leave Irish shores with at least a point but never looked like taking the lot as Wade impressively took the 12th leg with a 129 checkout leaving both players, booed throughout, with a share of the spoils. The Machine averaged 103.89 compared to Price’s 96.22 while both players hit five 180s apiece. In match two, Peter Wright notched his first win of the new Premier League season with a 7-5 victory over the latest contender and home favourite, Steve Lennon. Snakebite had banked draws in each of his first two matches and got off to a slow start here, finding himself 3-0 down after as many legs. By the fourth leg, Wright — who averaged 96.95 — had begun to show some form, albeit scrappy. A 19-darter threw the Scotsman some hope before he reeled off four more legs on the spin to race into a 5-3 lead. The Shamrock — who averaged 90.8 — then scored a 92 checkout to force a deciding leg which went Wright’s way after he held his nerve on double 10 to take home all the points. Daryl Gurney moved up to second in the table after he scored a 7-5 victory over Michael Smith, who is surprisingly winless this season. Bully Boy won the opening two legs before Superchin pulled level and then began to dominate, moving 4-2 ahead. Things took a surreal turn in the sixth as Gurney missed eight darts at doubles, while Smith wasted his first two after 21 darts before missing another two while attempting to take out 10. Eventually, he managed to land the double nine with his last dart and get back into the match, winning the next two legs with checkouts of 65 and 74. Gurney then held throw to restore parity before taking the last two legs and as many points. Northern Irishman Gurney averaged 99.14 compared to Smith’s 93.18, while both players hit four maximums each. In last game of the night, Raymond van Barneveld, who is retiring at the end of the year, rescued a point from 5-1 down against Mensur Suljovic. Just as he had a week previously, Barney started badly as The Gentle went 3-0 up before the Dutchman won the fourth. Suljovic didn’t falter though, carrying on his briefly interrupted winning streak for another two legs before Barney bounced into life. 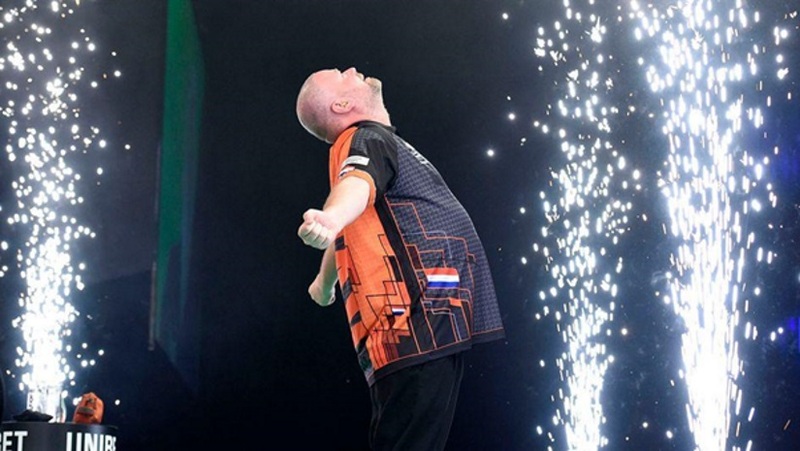 The Dutch legend and 2014 Premier League champion broke the Austrian’s throw with a 13-darter to launch his own winning run that ended with back to back 14-darters to bring the match level at 5-5. Suljovic’s checkout of 48 in the 11th meant that he had guaranteed himself at least a point, went on to miss a match dart at double 19 leaving Barney open to return with a 92 finish and a share of the points. First up this week is Gerwyn Price, who faces this week’s contender Luke Humphries. The Welshman is in the form of his life and is unbeaten so far in this season’s Premier League. He also recorded back-to-back PDC titles at the weekend when he took down a Players Championship event in Barnsley. Humphries ended Rob Cross’ World Championship defence at Ally Pally when he made to quarter-finals at the World Championships. Still, Cool Hand Luke still has his work cut here, and I would expect The Iceman to make it through this challenge comfortably too. This match is followed by Daryl Gurney taking on Rob Cross where a draw looks like the likely outcome. Superchin has won his last two against Michael Smith and Glen Durrant, after losing to Gerwyn Price in night 1 so is the form player of the two. Meanwhile, Cross only just managed to avoid a whitewash against MVG in Dublin a week ago, and head to head both players have won three matches each in six meetings, so another close affair looks very likely. On paper, match three looks like a shoo-in for Peter Wright, who faces Mensur Suljovic in an unpredictable pair: Snakebite continues to struggle for form and Mensur seemingly hates these Premier League nights. Wright sits fourth in the table with one win and two draws while The Gentle has two draws in three games. In nine meetings, Suljovic has won seven times but recent Premier League form means we must factor in the likelihood of a Wright win. It’s tough, but I’ll pick the night’s second tie here. No such dilemma awaits in match four where Michael van Gerwen meets James Wade. The world number one showed exactly why he is the best after destroying Voltage a week ago, looking like he could go the whole season without dropping a point. Wade let go of a heavy lead last week, losing any hope he may have had likely meaning the points should go the way of the Dutchman. Finally, I’m going to call Michael Smith to beat Raymond van Barneveld. Smith, last year’s Premier League runner-up, hasn’t enjoyed the best of luck in his first three matches and now, surprisingly, sits bottom of the table with one point. Comeback king Barney, on the other hand, has showed great character in the last two games to claim draws when all looked lost. Another poor start will not be salvaged against Bully Boy, who should record his first win of the season in Exeter. So then, week 4’s accumulator with Betway looks like this; Gerwyn Price, draw, draw, MVG, Michael Smith which pays 67.36/1. 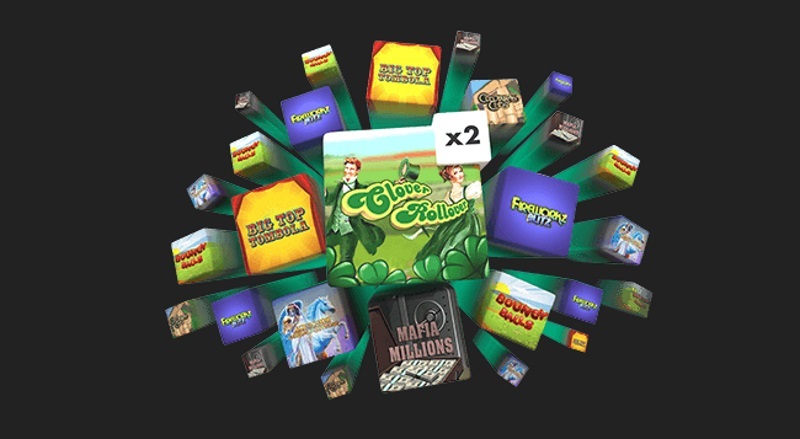 Play Games at bet365 to earn tickets for four exciting prize draws in the £1,000,000 Slots Giveaway! Simply stake £10 or more during the promotional period for the chance to win amazing prizes. Start playing the fantastic selection of titles that Games at bet365 has to offer and be in with the chance of winning cash prizes of up to £5,000. The promotion runs from 00:00 UK Time on 25th February until 23:59 UK Time on 10th March 2019. Qualifying rounds run from 00:00 UK Time on Monday until 23:59 UK Time on Thursday, and 00:00 UK Time on Friday until 23:59 UK Time on Sunday. You can earn one prize draw ticket for every £10 cash staked on eligible games. Two prize draw tickets will be awarded for every £10 cash staked on the relevant double ticket game for the qualifying period. You can stake £10 cash cumulatively across eligible games during a staked qualifying round. This does not apply to the qualifying period’s double ticket game. For an entire list of eligible games please see Full Terms Three and Four. There is no restriction on the number of prize draw tickets that you can earn; you can also win more than one prize per qualifying round.